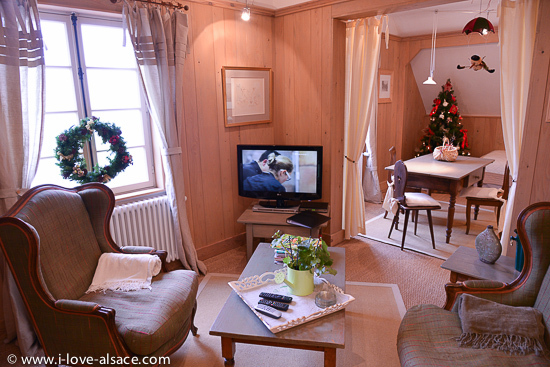 Apartment Alsace Vosges with a view. Mountain and forest atmosphere and decoration. 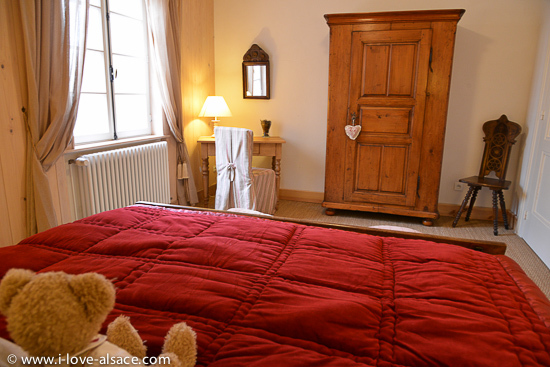 Beautiful and comfortable gite holiday apartment for 2/3 people newly refurbished with organic materials. Private terrace in the garden. 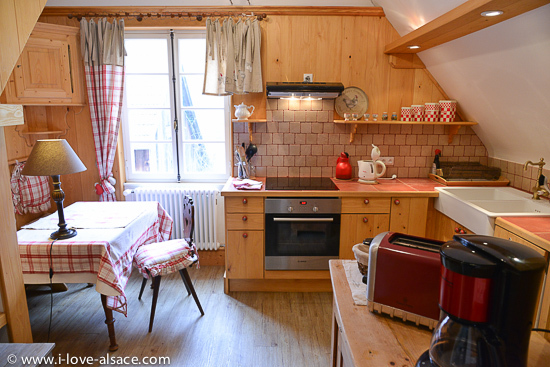 The gite is located on the first floor, facing south with a stunning panorama of the mountains and the famous medieval castle of Haut Koenigsbourg. 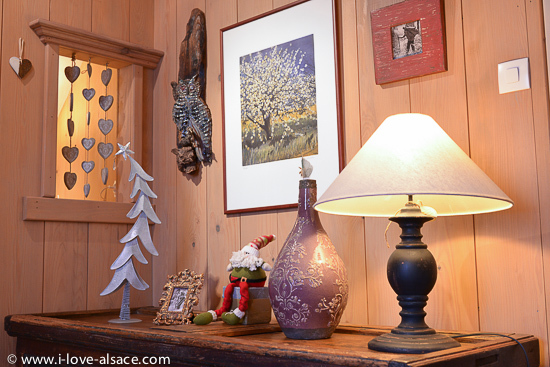 The Mountain Hiker gite is offering charming and luxury accommodation in any season. To help you better visualize the global layout of this apartment, we made this short video (less than 3 minutes). The shot was made with a fish-eye lens so that you can see as much as possible. However, such a lens distorts perspectives and gives the impression of a larger place than it is in reality. Therefore, we recommend you also view our pictures. 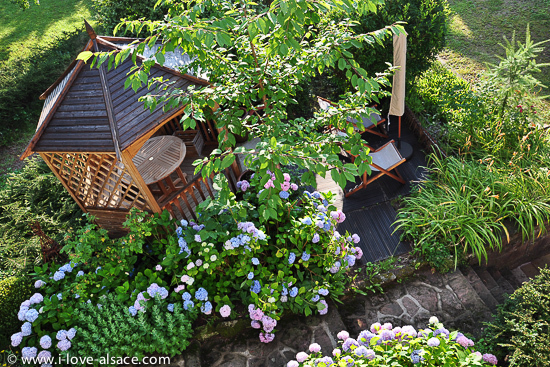 Downstairs, in the garden, a gazebo with a small terrace awaits the guests of the gîte. Table and garden chairs make it a specially pleasant place to have tea or dinner outside during the beautiful days, from Spring to Fall. 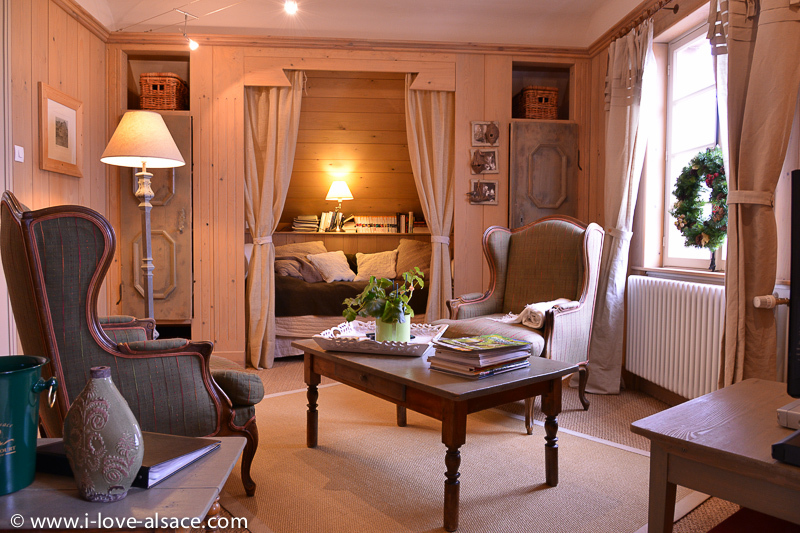 Decoration is about forests and mountains, dedicated to the first owner and builder of the house who was, until the 1930s, the forester of the Forest of La Vancelle. The two living rooms (living room and dining room) are en suite and facing south. 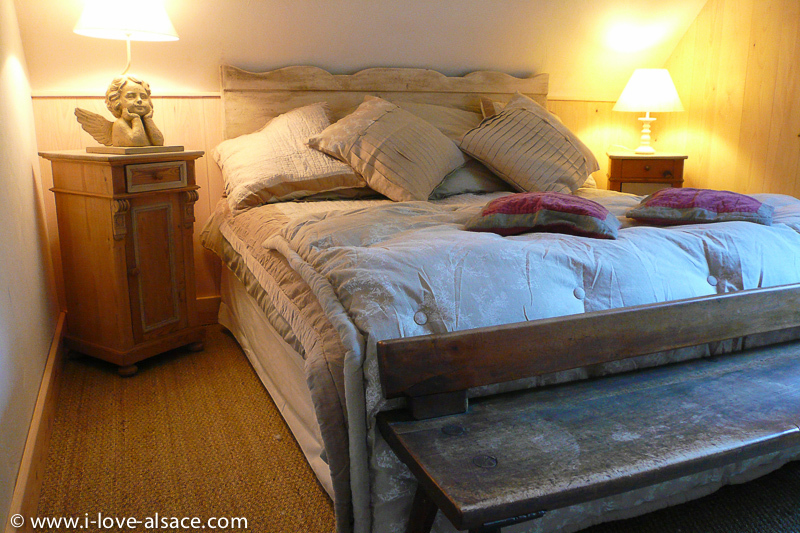 A extra traditional Alsatian bed is providing sitting space but also a comfortable extra bed for 1 grown-up child or adult. 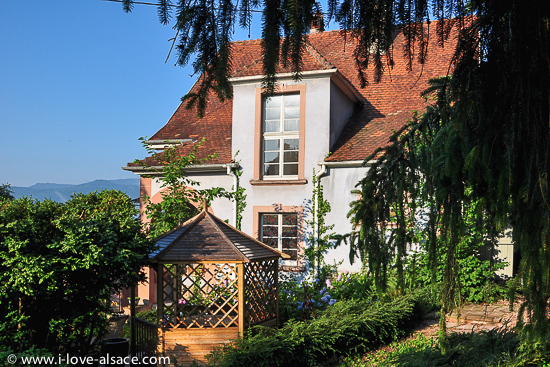 Magnificent panoramic view over the forest, the mountains and the castle of Haut Koenigsbourg on the horizon. 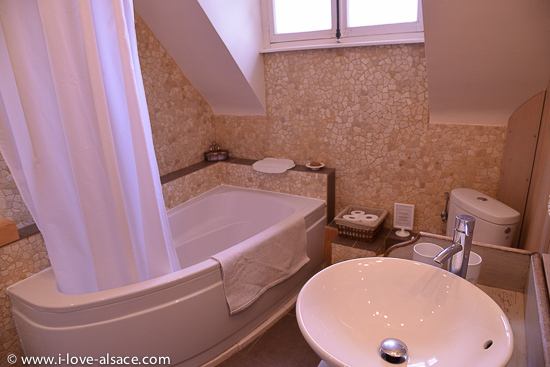 An independent bathroom and kitchen complete this cozy vacation rental apartment where you will relax after your hiking or your discoveries in the vineyards, along the Alsace wine route (only minutes away).